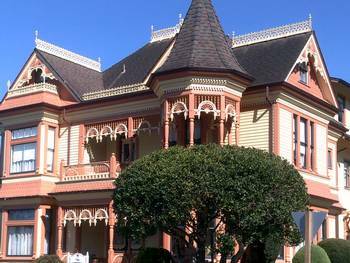 A sweet stay awaits any traveler at the Gingerbread Mansion in Ferndale, California. 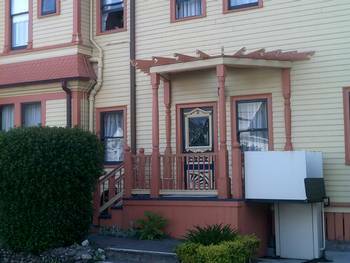 The Victorian style bed & breakfast was built in 1895 by a doctor. After living there for several years, the doctor suggested that the house be converted into a much needed hospital. The house served as the local hospital for a few years and was then turned into an apartment building. At one point, it served as an orphanage. Over the years, it deteriorated and was looking rather shabby. 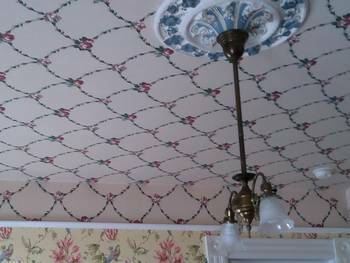 Two men bought the house and began working to restore it. Two women helped greatly to bring the magnificent structure back to life. In the mid-1970s it became a bed & breakfast. The beautiful building now has 11 suites, with the luxurious Empire Suite on the top floor. To the left of the entrance is the game parlor. 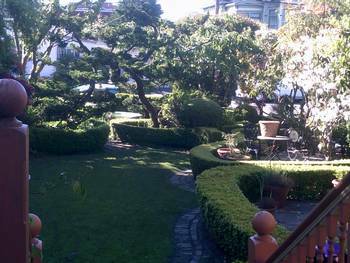 Also on the ground floor is a tea parlor, library, and dining room. 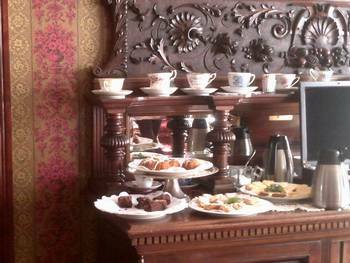 Breakfast is served in the dining room between 8:00 and 10:00 each morning. Guests can also have breakfast delivered to their room by request. Morning beverages are delivered outside of rooms each day at around 7:30 a.m. Guests do not want to miss tea time at the Gingerbread Mansion. Each afternoon between 4:00 and 6:00 p.m. tea time is held. A smorgasbord of delicious treats is served along with a variety of beverages, including wine. 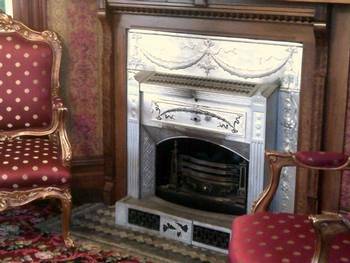 Guests can mingle in the parlor or take their snacks outside to relax in the English Garden. Some might choose to enjoy a Swedish Massage after their tea. The Gingerbread Mansion is one of the most photographed buildings in California. 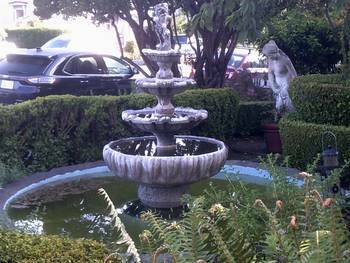 It has won awards as one of the two top inns of Northern California. 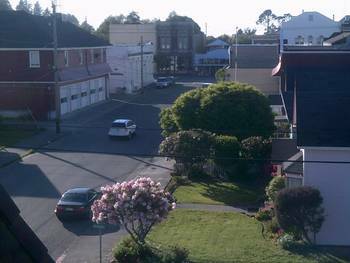 It is the only bed & breakfast in Humboldt County that has received the AAA four-diamond rating. Since they do not have a pool, they are not able to receive a five-diamond rating. However, the inn actually deserves a six-diamond rating since owners have gone the extra mile to accommodate handicapped guests. The inn not only has a roll-in shower for those in wheelchairs, it has a lift installed to assist disabled individuals upon entering the inn. In order to maintain the historic nature of the house, a lift was installed rather than adding a wheelchair ramp. 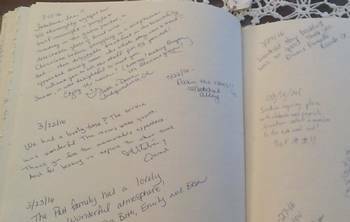 The innkeeper is happy to assist all guests in making their stay as enjoyable as possible. The Gingerbread Mansion receives a great big Cookie Cheer for the efforts they go to in order to provide an excellent vacation experience. 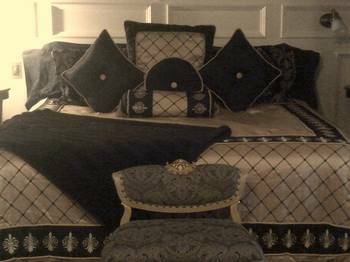 For more information on this awesome Bed & Breakfast, click on the links below.